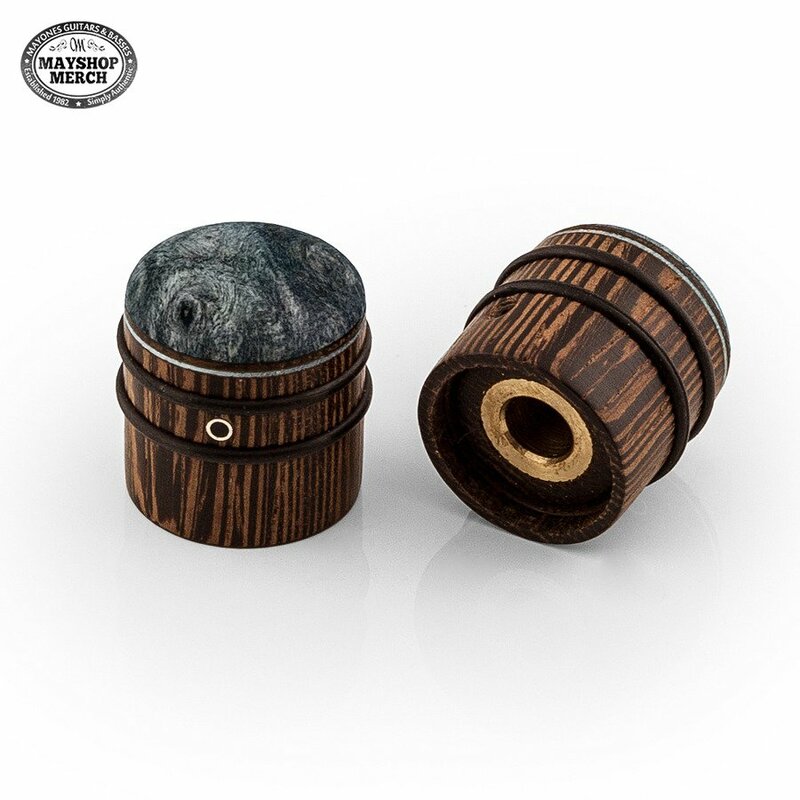 Exclusive handmade wenge* dome knob and Buckeye Burl*. The knob has a brass potentiometer sleeve, anti-slip rubber rings, and silver position marker. Suitable for both electric guitars and basses. Price per single knob.